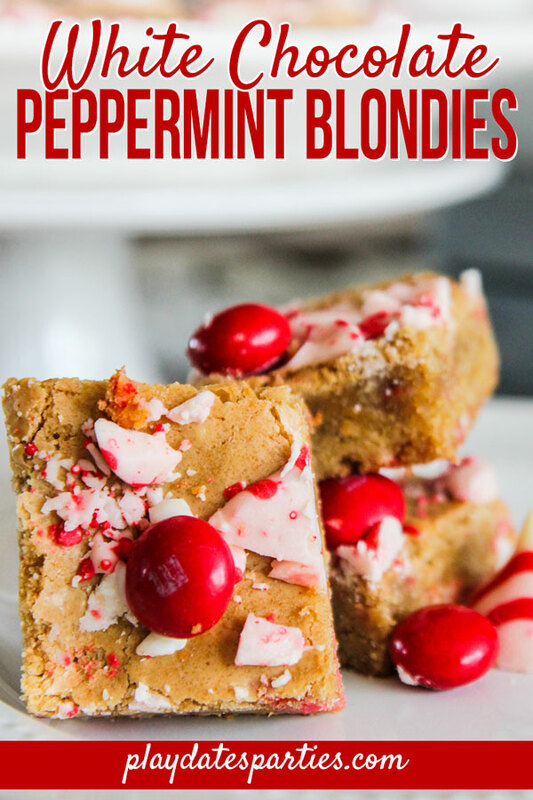 You have to try these white chocolate blondies with peppermint this holiday season! 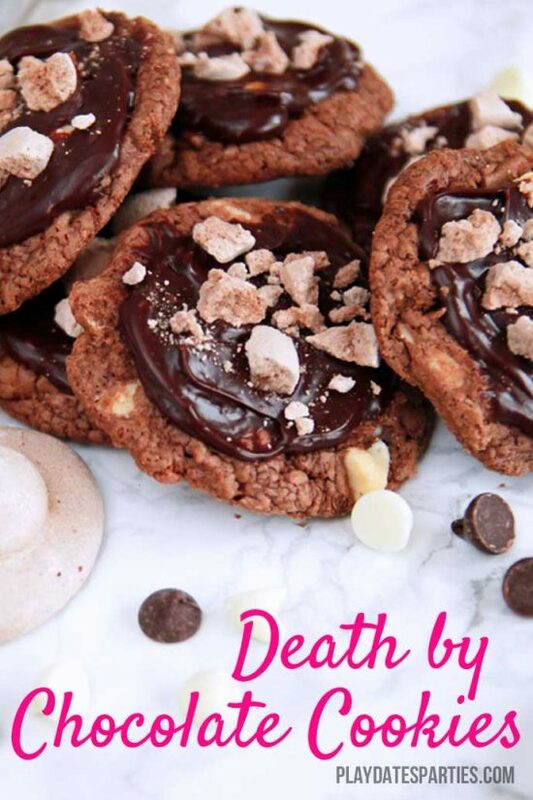 They are perfectly chewy with just the right amount of peppermint flavor! Finally, I cut into the perfect white chocolate peppermint blondies. Not too cakey, doughy, or hard. It wasn’t too minty or too bland. Just like Goldilocks, the third batch was just right. Blondies from scratch always sound like an easy thing. But for some reason, the perfect blondie eluded me for years. Now, I know there are as many opinions on blondie/brownie texture as there are recipes out there. Some like them fudgy and soft, some like them cakey and light. Others, like me, prefer something somewhere in between. I like the edges to be firm. But I like the center of my blondies to be soft and a little bit chewy. My first attempt was a basic blondie recipe with white chocolate chips and a peppermint glaze. It seemed simple enough, but the resulting bars were doughy squares with far too strong a peppermint flavor. And though the peppermint glaze tasted good on its own, it just caused the doughy blondies to look like a melting mess instead of a delicious minty treat. The proportion of brown sugar to flour may be too high. So, on it was to the next white chocolate blondies recipe on the list. This time I tested the highest rated blondies recipe found on Allrecipes. To be honest, I was skeptical from the beginning. The featured image looks short and dense; more like a cookie bar than a blondie. But with 1,248 reviews and a 4.5 star rating, it was worth a shot. It turns out my concerns were right. A ramekin-sized test batch ended up with…a cookie. But I wasn’t going to be deterred. Attempting to recover, I quickly stirred an extra egg into the remaining batter. And instead of a peppermint glaze, whole Candy Cane Kisses and white chocolate M&Ms were sandwiched between two layers of batter. This second batch wasn’t doughy or dense like a cookie. Instead, it was more like a cake. The M&Ms and kisses sank to the bottom of the pan, creating large crunchy pockets that weren’t terrible, but weren’t quite appealing in contrast to the light, fluffy blondie cake. But it still wasn’t the perfect white chocolate blondie recipe. I analyzed the proportions of sugar, butter, flour, leavening agents, and eggs between both recipes. And I did some research on how to adjust brownies to be fudgy vs. cakey vs. chewy. I was experimenting with baking chemistry, and it was fun as well as educational! Finally, I came up with a plan for the third batch of white chocolate peppermint blondies. Instead of sifting flour and then measuring it out, I measured one cup of flour and fluffed it up with a whisk. This adds more flour to the mixture, which increases the density of the blondie. Reducing the quantity of brown sugar helps to balance the density created by the extra flour. An extra egg yolk (just the yolk!) creates a perfectly chewy center. Chopping up the candy cane kisses and mint M&Ms and adding them to the dry ingredients spreads the peppermint flavor more evenly and keeps them from falling to the bottom of the pan. Don’t waste your time going through batch after batch of homemade blondies. 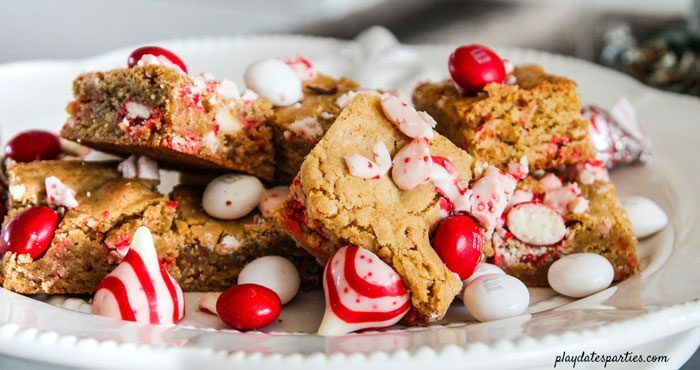 If you want perfectly chewy white chocolate blondies with peppermint, make this recipe. Preheat oven to 350°F. Prepare a metal 9x9 pan with parchment paper. In a large bowl, combine brown sugar and melted butter until smooth. Mix in egg and extract mixture. Gently fold in flour and candy mixture until just combined. Bake at 350°F for 15 - 20 minutes, checking every minute after 15 minutes. Combine remaining chopped kisses and whole M&Ms. When the blondies look like the might be almost done, sprinkle with reserved candy mixture. Place in oven just until the kisses are soft, about 30 seconds to 1 minute. Have you ever made blondies from scratch? 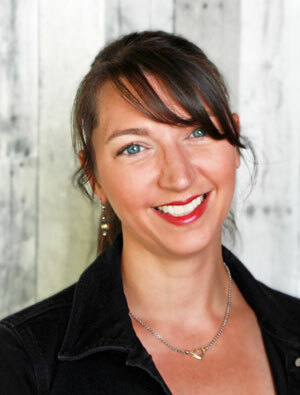 How would you recover from a baking disaster? Those look so delicious! I would love to grive those a try if I can find the time! Wow, you put some LOVE into this recipe! I cannot wait to try it! They look AH-MAZING, by the way! I can’t wait to try these. I love peppermint and these look so good. Thanks for sharing on Link Party Palooza. I’ve never made blondies, but these sound very tasty! Way to keep trying till you got what you liked! Happy Holidays! I love peppermint! Thanks for sharing at the What’s for Dinner party! These would be great to take to work! Thanks for sharing! I will definitely be making these this month – my mouth is watering and I think I gained a few pounds just reading this post!! Those sure sound delicious and thanks for testing out the science behind the perfect blondie for us! Pinned. They sound so tasty and they look really pretty too! These look so pretty and tasty! Yummm! Yes to all things peppermint in December. 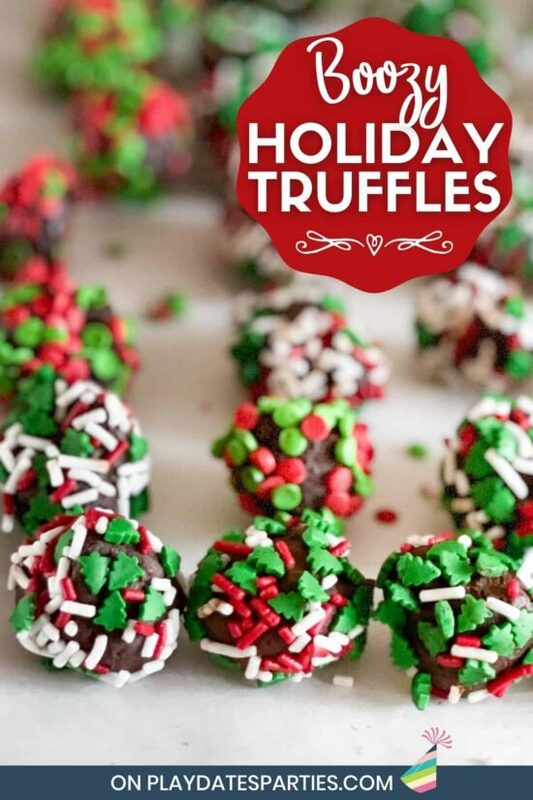 Oh, these are perfect for the holidays, thank you for sharing at The Really Crafty Link Party. Pinned! 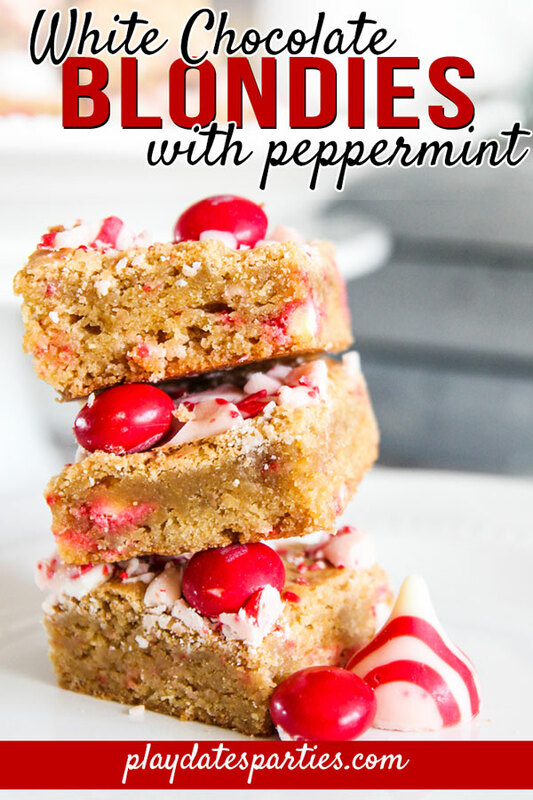 These White Chocolate Peppermint Blondies look so delicious! It looks like a perfect treat for this time of year. 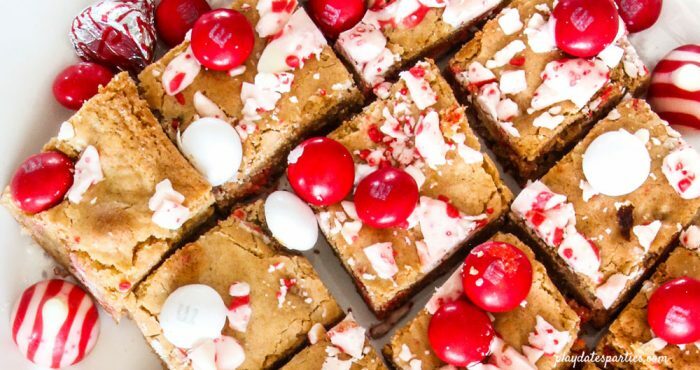 I have never had blondies with peppermint in them. Great idea to make them with peppermint and white chocolate! I am much more a white chocolate and blondie type of person. Prefer it any day over a chocolate brownie! Thanks for sharing with SYC. So nice to have a brownie recipe that isn’t chocolate based. Brownies are so good for packing for gifts or gatherings. Nice new variations. 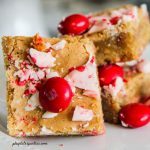 Adding these blondies to my holiday treats list. Thanks! And thanks so much for joining the To Grandma’s House We Go link party! I’m so glad you finally figured out how to make a good blondie!!!! They sound divine! Thanks for sharing at Party in Your PJs! 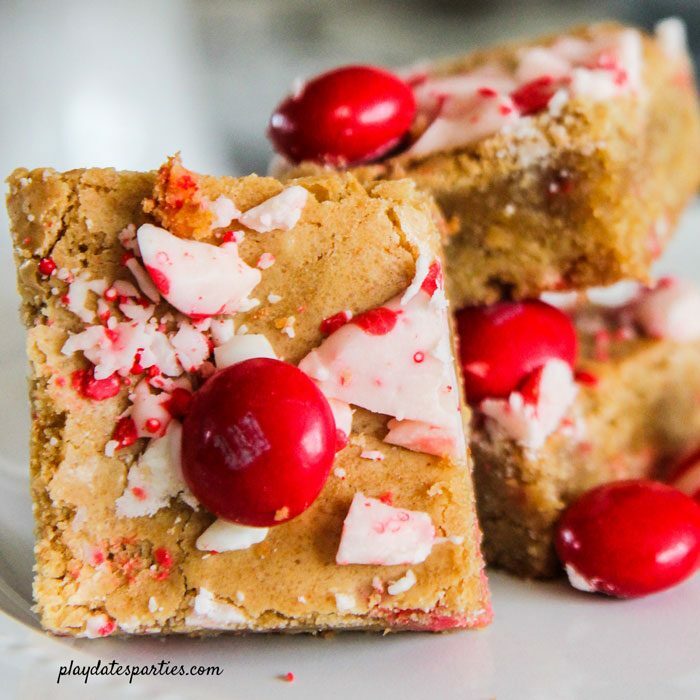 Your blondies look and sound like the perfect holiday treat to enjoy over the holidays. The one time I eat peppermint is now… Thanks for sharing your treat with Fiesta Friday #250.